Can you imagine a time or place where everybody knows a language, a programming language that is? How different would the world be? Well, today I want to share a really interesting new startup from Jordan called Codely that is looking to make that possibility achievable. Codely is an interactive learning platform that empowers students around proper ICT education within the classroom and beyond. The guys behind it are Fouad Jeryes (from d1g, Oasis 500, Open Insights LLC, Techtech TV and Amman TT) and Sinan Taifour. Oh and they happen to win the startup demo people’s choice awards! When I asked them to explain Codely in their own words, Fouad said “It’s a platform for building the tech engineers of the future”. And you can bet your last dirham they are pretty serious about it, both Fouad and Sinan have experience in the field and know very well that the talent pool in the MENA region is very small or unfit to disrupt the tech industry “We’re doing this because we need it” stated Fouad. As we continued our conversation the guys mentioned Mark Zuckerberg as an example, the Facebook CEO had an early start in learning code where his parents actually hired a software developer as a tutor for him, we all know how that paid off! And even as the social network continued to grow he would still sit down and code with the rest of the team. This is the kind of opportunity Codely wants to provide to all youths in the MENA, “We want to unlock the potential of the students and help in teaching them critical thinking” explained Fouad. Well that’s a good question, especially since I didn’t see a comprehensive demo at the Arabnet Digital Summit. 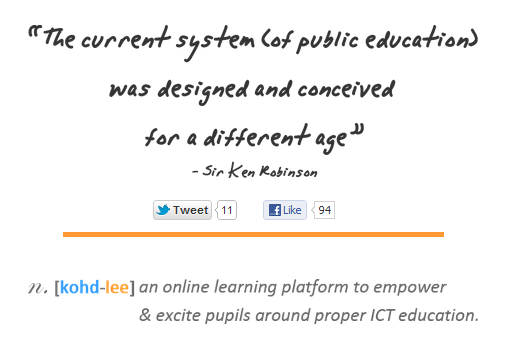 But from what was explained it seemed to be a portal where students (users) can login, find useful information such as tutorials, feeds, videos and other rich content (which is both developed and/or curated by Codely) and then be tested on the material they were studying. By the way all the content on the website will be available to everybody for free. “We’re trying to do well by doing well” said Fouad. Which prompted me to ask my next question, “so how do you make money?” In which they explained that they will be selling access to view the deeper analytical information for student’s performances and users alike to admin users such as parents or teachers. So to give you a better picture, if a user on Codely takes an exam he/she would be able to view if they answered correctly or not, however to view more details such as what the right answer was, etc… they would have to purchase an account to view that information. The beauty of this platform is that it allows real time tracking of student’s performances, teachers would be able to interact with them immediately and get an instant feel for their strong points, where they are scoring high and which areas need improvement. 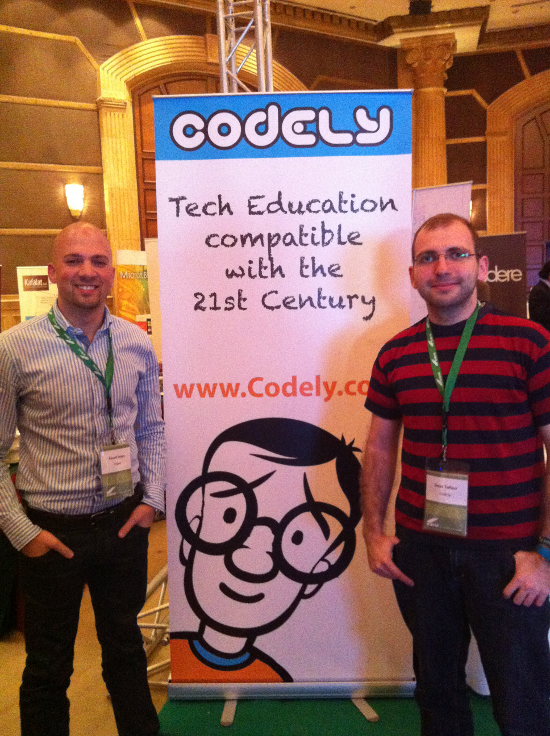 Codely is planning on Launching as an open pilot in September with a very large school base across Jordan to students between kindergarten and grade 12, for now, they seem to have plans for a more worldwide audience and in all honesty the possibilities are endless. As for now the team is working hard on finalizing all the little details “Our development cycles are really quick because of all the feedback we’re getting” explained Sinan. I’m very interested in seeing the platform in action and hopefully it will achieve what Fouad and Sinan are striving to achieve “Ultimately building a tech community”. I’d like to thank both Fouad and Sinan for taking the time to talk with me during Arabnet, and wish them the best of luck.